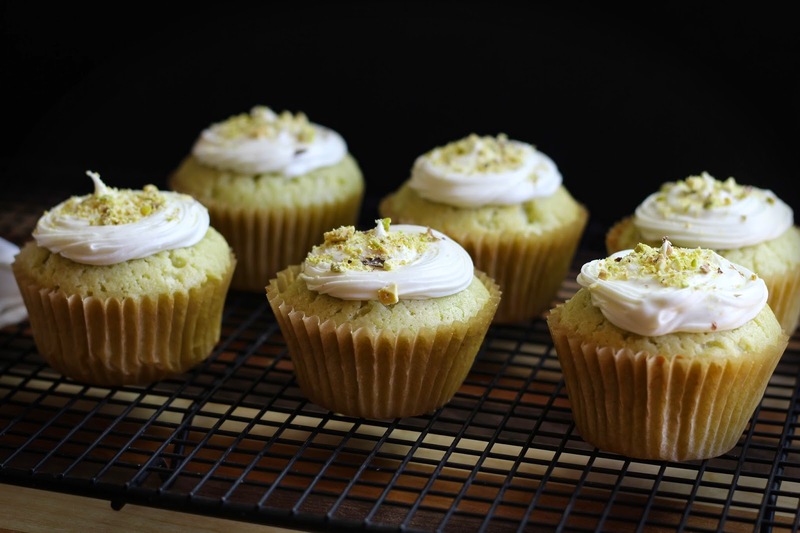 Ever since I ordered Pistachio flavoring I've been loving making different kinds of pistachio flavored sweet treats. Also recently I've been loving a good cupcake. So I thought "Why not mix the too". 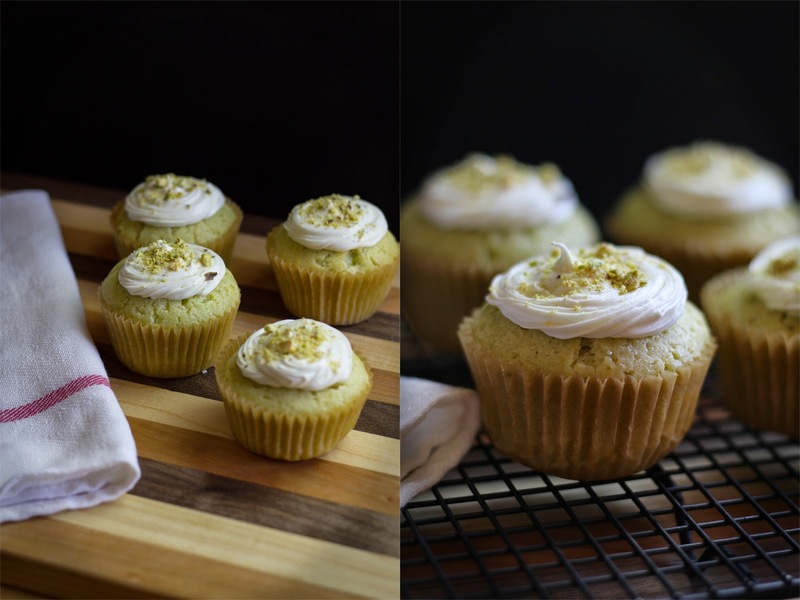 So if you love a good cupcake and are a fan of Pistachio than this is a recipe for you. Next I think I want to try and make some kind of Pistachio cookie, maybe a short bread. Something like that sounds really good. This week I thought i'd make some cupcakes and in my personal opinion they turned out AMAZING! I made these cupcakes at the start of the week and they are long gone by now, PS I didn't eat them all myself. As I am writing this blog post it is pouring rain which it has been for the past 14+ hours or so. And with it being a Friday and I might be having game night, I may just have to whip up another batch of these wonderful cupcakes. If you'd like to give them a go keep reading the recipe will be below the photos. In a stand mixer or bowl cream sugar and butter. Once creamed add in milk, vanilla and pistachio flavoring. Slowly add in your flour. Keep mixing until all the ingredents are combined. Line muffin tins with Cupcake cases. Scoop batter into cases, fill just under full. In a bowl scoop out your pre-made Vanilla or Buttercream frosting. Beat on high with mixer. Then turn down and slowly add in your powdered sugar. Once you've added in all your sugar turn mixer back up. And add in Vanilla. Once you've beat the frosting 4-5 minutes it should become light and fluffy. Add into pastry bag a pipe onto Cupcakes once they've cooled. Sprinkle crushed Pistachios on top. This recipe is easy to make and very tasty. You can always make a homemade frosting this way it just skips a step. Also you can just use the premade frosting as is. Whatever floats your boat! There are no rules when it comes to frosting cupcakes. Just eat & enjoy! 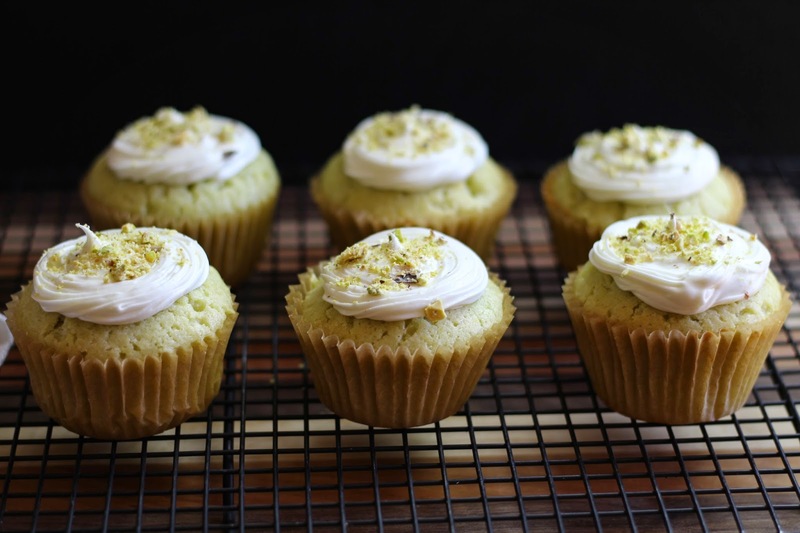 Tag me on Twitter or Instagram @ ChicCountryGirl if you make your own Pistachio Cupcakes.